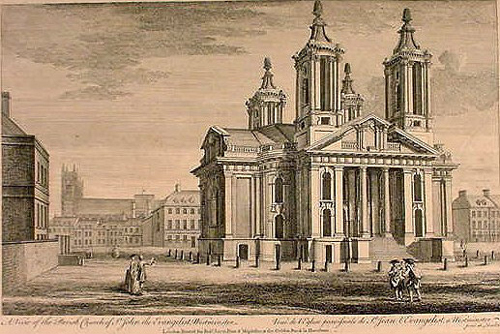 St John’s, Smith Square, was designed by Thomas Archer and completed in 1728. It is regarded as one of the finest works of English Baroque architecture, and features four corner towers and monumental broken pediments. It is often referred to as ‘Queen Anne’s Footstool’ because as legend has it, when Archer was designing the church he asked the Queen what she wanted it to look like. She kicked over her footstool and said ‘Like that!’, giving rise to the building’s four corner towers. The towers were, in fact, added to stabilise the building against subsidence. Renowned for its fine acoustics, the church serves as a popular venue particularly for classical music. 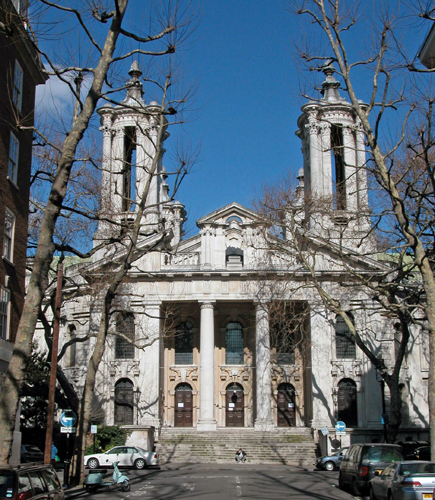 It is one of a number of important Baroque churches in London that I have been asked to advise on.